New initiative from the ECB aimed at providing children aged five to eight with a great first experience in cricket and it’s coming to Henley CC! 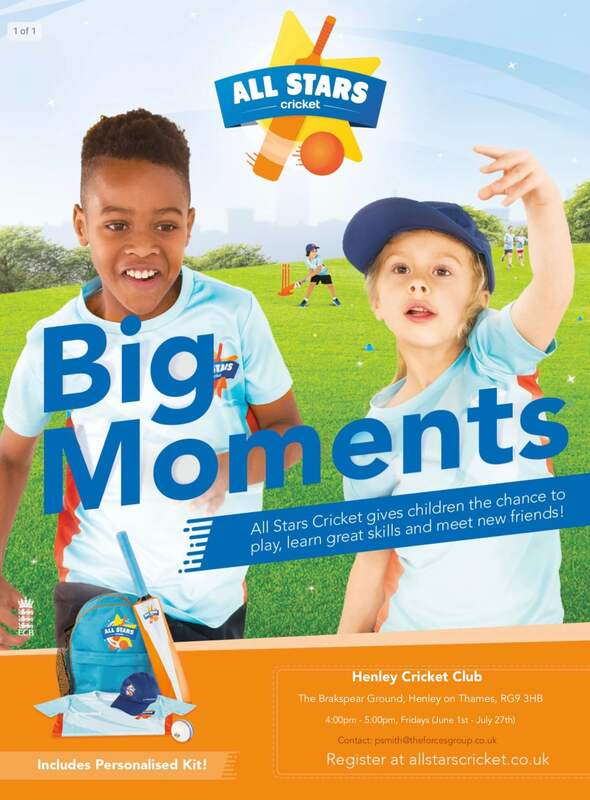 All Stars Cricket is a new initiative from the England and Wales Cricket Board aimed at providing children aged five to eight with a great first experience in cricket and it’s coming to Henley CC this summer. Sessions start on Friday June 1st between 4pm and 5pm and you can sign up here . . . .